That figure revealed the first solid proof that the majority of Samsung's "smartphone sales" this year were actually very low end devices, because it means only one third of the company's overall shipments are premium phones that could be compared to an iPhone. Samsung's numbers revealing that its big screen Note 3 phablet will account for only a tenth of one third of its 2013 smartphone sales also highlights that oversized phones are not nearly as popular as is often assumed. The majority of Samsung's Note phablets sell in Asia, primarily within South Korea itself. Half of the Note 3's current shipments had occured by then end of October. 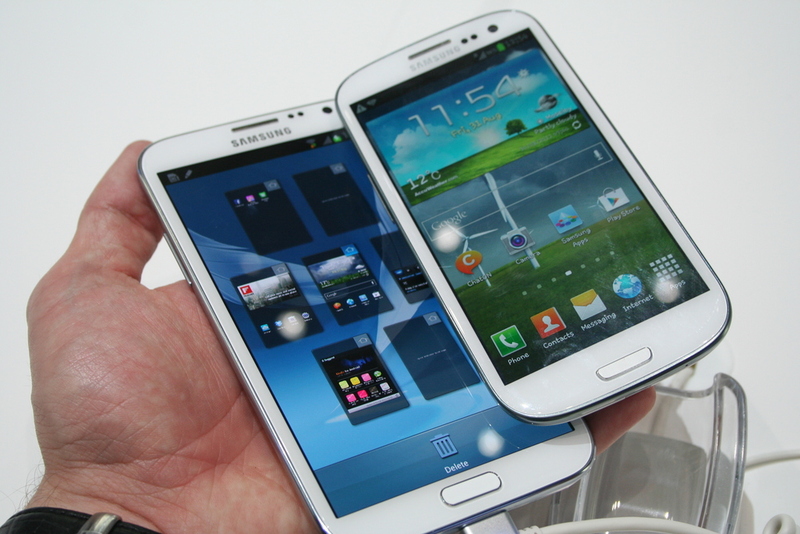 The article goes on to reveal that the average selling price of two-thirds of Samsung's lineup is $214.50. These are super low-end, with no iPhone equivalent for comparison. Only one third of Samsung's phones would be considered premium. Only one tenth of those premium sales are phablets: phones with displays that are 5" or larger. That includes the Galaxy S4. Despite the narrative that many are pushing, phablets are not the big sellers that Samsung, and the complicit tech press would have us believe. The only places where these devices are strong are in Asia. There are two, good reasons for this: First, it is a matter of economy. For many Asians, the smartphone is the only computer they own. It is not a companion device; it is the only device. It has to serve all functions, often, including TV. In such places, when it comes to phones, the bigger, the better. Second, have you ever tried to type Chinese? Neither have I;, but, I understand it is extremely difficult. A roomy screen is a must, and a stylus, even better. In a place where the language is more drawn than written, something like the Galaxy Note could be a big deal. The drumbeat for Apple to produce a phablet makes little sense in this light. It is simply not a big seller for any manufacturer. With one of the smallest screens on the market, the iPhone is the best-selling, premium smartphone. The vast majority of all smartphones have screens that measure far less than 5". At some point, this will change. As companies cram even more components into these devices, common sense must give way to physics. The phones, even iPhones, will get bigger. Till then, consumer preference seems to be for smaller phones.